Ray Yellig Trail is a double-loop trail owned and maintained by the Town of Santa Claus Parks and Recreation Department which features one segment passing through a wetland area, and one segment passing through an upland hardwood forest. It has an observation platform, and rest areas with benches strategically located for nature observation, and is centered on the Town's recreational facilities. Location: In Yellig Park in the Town of Santa Claus, Indiana. The Town of Santa Claus is a community of approximately 2,500 people nestled near the Ohio River in the rolling, wooded hills of southern Indiana, approximately mid-way between Evansville, Indiana and Louisville, Kentucky. While home to only 2,500 residents, the Town each year hosts over 1,000,000 visitors to Holiday World and Splashin' Safari Theme Park, Lake Rudolph Campground and R.V. Resort and other nearby attractions. Because of the number of visitors, and the demographic of the community being primarily young families, the development of the Town's Yellig Park over the past 20 years has been a primary goal of the Town. The Park has gradually been improved over the years, to now include 3 baseball-softball fields, 4 soccer-football fields, playgrounds and shelter houses and picnic areas. Each year, it hosts many softball tournaments, as well as soccer, t-ball, softball and baseball leagues, and the feeder program for the local high school, which produced current professional quarterback Jay Cutler, as well as former professional football players Ken Dilger, Jon Goldsberry, Bruce King and Chris Sigler. Also unique to Santa Claus is its location just 3 miles east of Lincoln State Park and Lincoln Boyhood National Memorial, the boyhood home of Abraham Lincoln. In looking for ways to improve the quality of life for residents and provide more recreational opportunities for visitors, in 2005 the Town resolved to begin developing a trail network in the Town. Not only did residents overwhelmingly request the improvement as part of surveys for the Town's five-year master plan, but because of visitors staying at Lake Rudolph and the State Parks, and the recreational nature of the tourism industry in the Town and surrounding area, overnight visitors almost always bring bicycles and/or are more disposed toward non-motorized transportation, but lack adequate locations for engaging in such pursuits. This resulted in the development and construction of Ray Yellig Memorial Trail, using Yellig Park as a trailhead using LWCF Funds. Land to expand the Park to develop additional recreational fields and the Ray Yellig Trail was donated by the owners of Lake Rudolph. The trail is a double-loop trail, consisting of a Western Loop and Northern Loop. The Western Loop is essentially a 0% grade, .75 mile loop through a forested wetland. Constructed of a crushed limestone surface, the trail contains 12 wooden bridge structures, and includes an observation platform overlooking an established wetland area. The Northern Loop is an up-and-down loop which travels through an upland hardwood forest, with 3 wooden bridge structures and a 50 foot elevation change between the trailhead and upper end of the loop. Both loops have strategically-placed rest areas with benches for rest and wildlife observation. Using the recreational facilities at the Park as the central location for the double-loop system was strategic, in that the location permits both children utilizing the parks to use the trails, and also parents and other spectators to regularly use the trail while awaiting their children's participation in events or practices at the recreation fields. 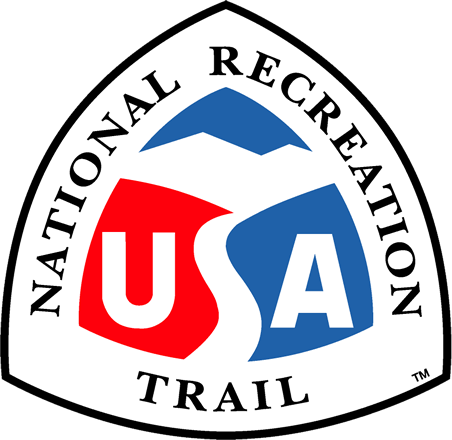 The Ray Yellig Trail is the first segment in a long-term plan for recreational and multi-modal trails and dedicated lanes within the Town, connecting residential, commercial and lodging and camping areas, developing the American Discovery Trail passing through Santa Claus and connecting the Town with Lincoln State Park, Lincoln Boyhood National Memorial, Little Pigeon Creek Wetland Conservation Area, Heritage Hills High School and Middle School and Hoosier National Forest, and regional trails connecting the Town with nearby elementary schools and neighboring communities. The first connecting segment, which will connect the Ray Yellig Trail with Lake Rudolph Campground, as well as the commercial and residential areas of the Town, is planned for 2011 if financially possible.